The new definition of "testosterone booster." HELPING YOU CRUSH YOUR WORKOUTS SINCE LIKE... RIGHT NOW. We've analyzed 40+ years of available scientific studies on testosterone production from some of academia's top researchers. Our new testosterone boosting plan shares it all: "Free Your T: The Road To Natty Gains." Let Us Help YOU Release Your Inner Alpha. Is Your Energy Level On The Decline In The Gym? Are you constantly hitting a wall in the afternoon? Are you tired of being tired? Are Your Workouts Not As Intense As They Should Be? You’re putting in the work but you’re not seeing the results you should be . Are You Ready To Get More Intensity And Longevity From Your Workouts? Poor nutrition and vitamin/mineral deficiency are working against you. 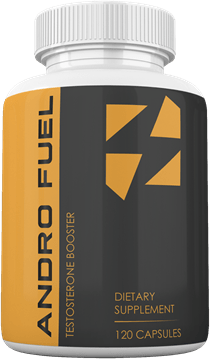 "Other companies make things complicated by putting ingredients in their testosterone boosters that aren't proven and are hidden behind "proprietary formulas." We only use ingredients proven to raise testosterone levels naturally. We looked at short term as well as long term studies. We also looked at possible interactions between ingredients. This is where the other guys failed and it makes Andro Fuel unique." We want nothing more than to help you discover what we've discovered after poring over 40+ years of academic research on natural testosterone production. There are natural ways to increase your body's testosterone output. We're bringing the solution to you in Andro Fuel. Want To Help Us Help You? Want to be a part of something special and get free company swag?